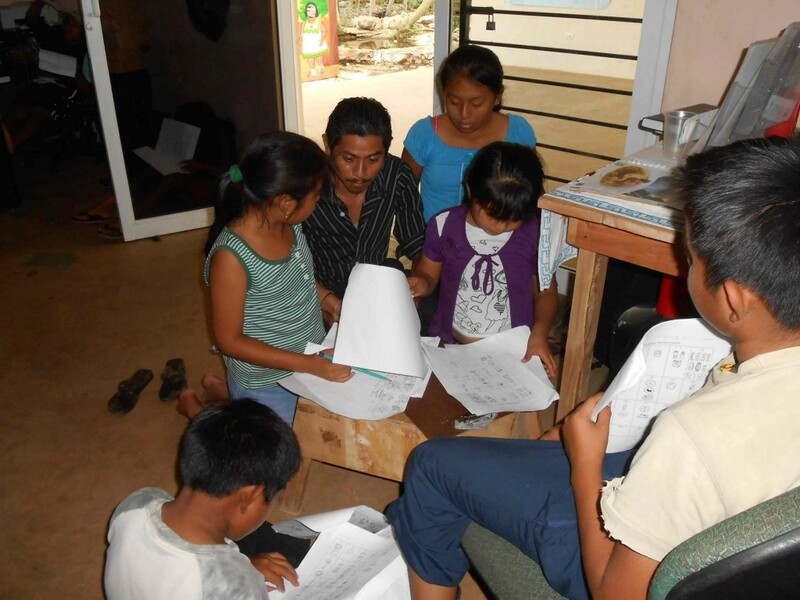 One of the great joys of this current trip was to witness a workshop done completely in the Maya language. It was held in Yaxunah, Yucatán. (Not at the archaeological site, but in the town). 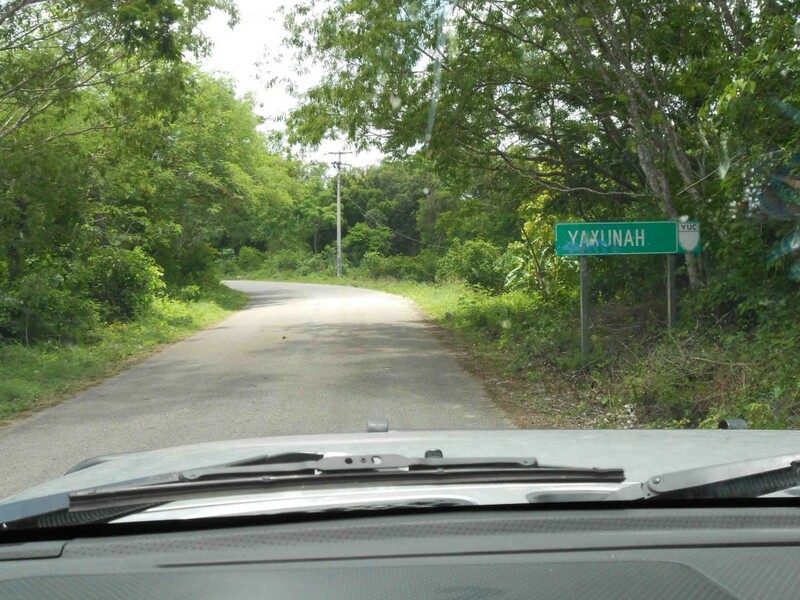 Thanks to the tireless efforts of Grace Bascope and others, the Yaxunah Cultural Center is a working reality. 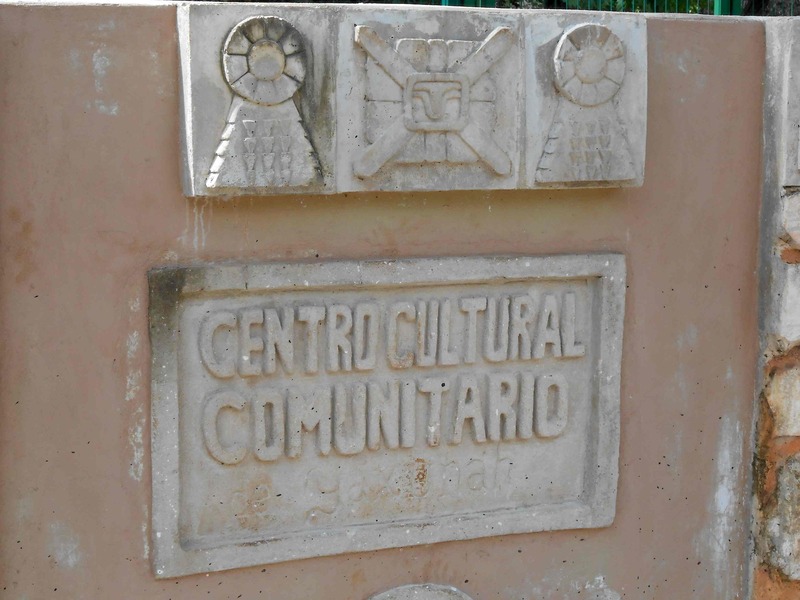 Please visit their web site at yaxunahcentrocultural.org. 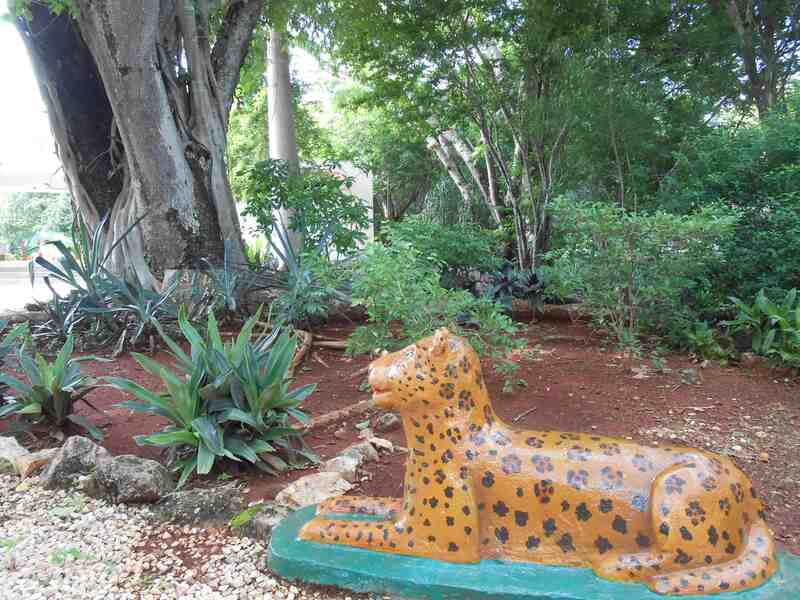 Besides the nature walk, medicinal plants, and a beautiful cenote, they have a pet yellow jaguar! 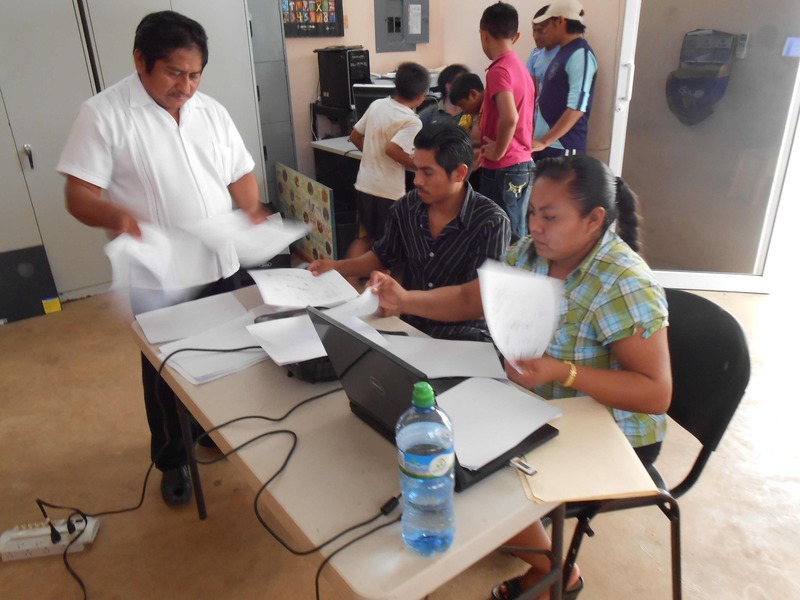 Crisanto (left) and his team Gregorio Hau and Gloria Nayeli (later joined by Alfredo Hau) gave an all-day workshop in Mayat’aan (Yucatec Maya). The projector is thanks to MAM donors. Using the syllabary to write their names is endlessly fascinating. 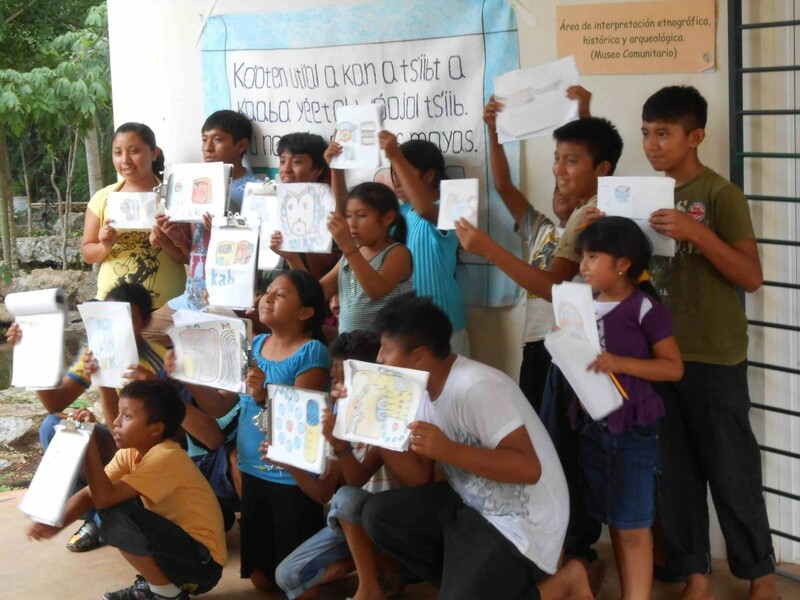 The sign on the wall, in Mayan, says “Come learn to write your name in glyphs.” Judging from this picture, do you think the day was a success?